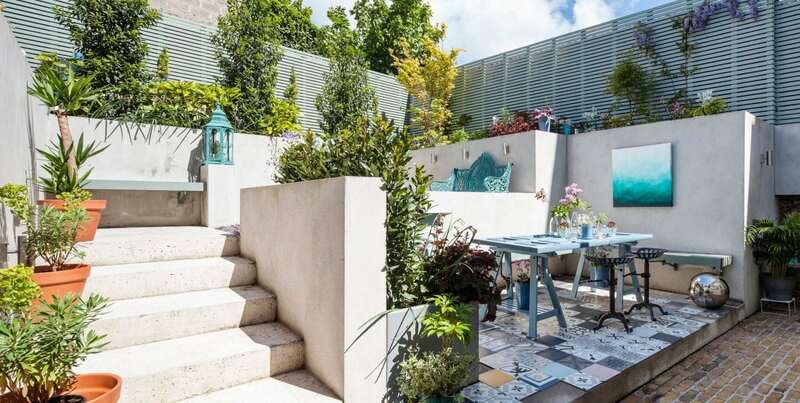 The Ranelagh property was an exterior garden area that was to reflect the quirky interior of this property. The property had been left neglected for a considerable period of time and so needed a bright and low maintenance garden space for the young family. The aim of the garden design was to increase the element of natural light which was hitting the basement level of the property. The designers utilized the availability and low cost nature of raw materials to create this unique and beautiful space. Ecocem Next Generation Cement was used to render the exterior walls and create a whiter, brighter finish from their render. Ecocem Next Generation cement is a low carbon high performance cement. Through the use of Ecocem on this render project the client managed to acheive a 60% reduction in the carbon footprint of their project.